See below for our answers to questions most commonly asked by our clients. Our friendly team are happy to answer any other questions you might have, just give us a call or drop us an email. What is the process of getting a new sewer connection? Obtain a proposed drainage drawing/plan from an architect or we can assist. If you have these, provide the asset map and consent letter from the local water authority, as well as the drainage drawing/plan to NG Tunnelling (as an approved drainage contractor) in order to request a site visit and free quotation. Upon accepting our quotation, works are scheduled to suit your site programme. NG Tunnelling will obtain any necessary permit(s)/licence(s) from the local council in order to carry out works and arrange any traffic management (e.g. priority working boards, temporary traffic lights, etc.) required. Once works are complete, NG Tunnelling will obtain the Thames Water completion certificate/sign-off from local water authority. Who obtains all of the approvals? We can do this on your behalf, including the application to your local water authority (e.g. Thames Water) for consent, to the local council for any permits/licences; and obtaining sign-off from the local water authority. The administration in making any applications is included in our service. We can make allowance in the quotation for the council fees. Are NG Tunnelling Thames Water approved? Yes, we hold all of the necessary insurances and qualifications, and therefore can liaise with Thames Water on your behalf. We aim to provide a quotation within one working day of carrying out a site visit/survey. 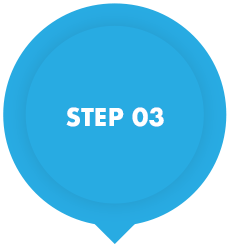 Refer to the process diagram above for how long each stage can take. Once our quotation is accepted and depending on the type of project and works required, NG Tunnelling will make the application for any permit(s)/licence(s) to the council. Note that each council varies in their lead time to grant/approve these. If council permits/licences and traffic management are not required, you already have the required drainage drawing(s)/plans(s), and consent has already been granted by your local water authority, there is potential for NG Tunnelling to start work on site with even just a few days’ notice. How long do the works take to carry out?  The average sewer connection for a new build development can be carried out within a week’s duration and is determined by the depth of and distance to the main sewer. How much do the council fees costs? The cost of the fee and deposit for any necessary permit(s)/licence(s) vary by council but we can determine these exact costs on your behalf. How do I ensure the works are guaranteed? NG Tunnelling hold £10 Million Public, Products and Employer’s Liability insurances, and we are Thames Water approved, ensuring the works will be adopted and maintained by Thames Water once works have been signed off.